Here are three simple products that are terrific for cleaning and organizing your encaustic griddle or palette. Metal palette cups used for encaustic painting get hot. But thankfully, metal craft clips allow you to easily move the cups around without burning your fingers. 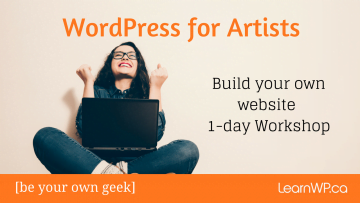 Some artists use binder clips or wooden clothes pins. I find that the binder clips can themselves heat up—becoming too hot to hold. Wooden clothes pins will work for awhile, but be careful as they tend to fall apart unexpectedly and you may end up spilling a tin full of paint. Sometimes you want to start with a fresh palette—clear away the colours you’ve been working with and make room for something new. Individual silicone muffin cups are perfect for cleaning out your metal palette cups. pop the coloured medium out of the cup and set aside for future use. Encaustic tools can draw a lot of power. If you have trouble with blowing fuses or tripping breakers, use a power bar with individual outlet controls. A power bar with individual outlet controls saves you the trouble of having to unplug hot tools when you are using a power-hog such as a heat gun. The encaustic art stylus doesn’t have a power button. When it is plugged in it is on. This power bar makes it easy to turn it on just when you want to use it. 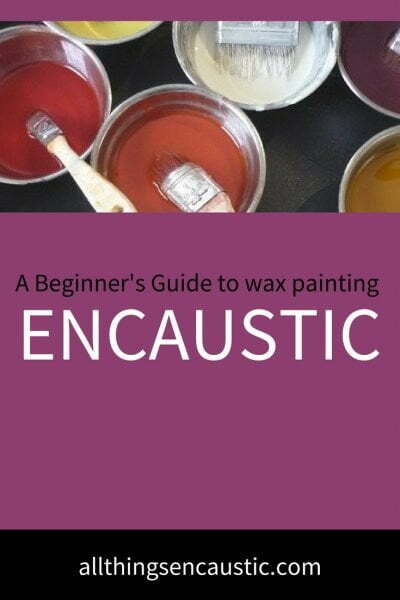 I hope these encaustic painting tips and product links help you manage your encaustic studio. Do you have a tip to share? Please leave a comment below. One of the beautiful things about encaustic is that you can heat it up and scrape it down or keep working on top. I would use a blow torch to heat it through and a paint scraper. If you’re careful you could get some nice ribbons of wax. Good luck.